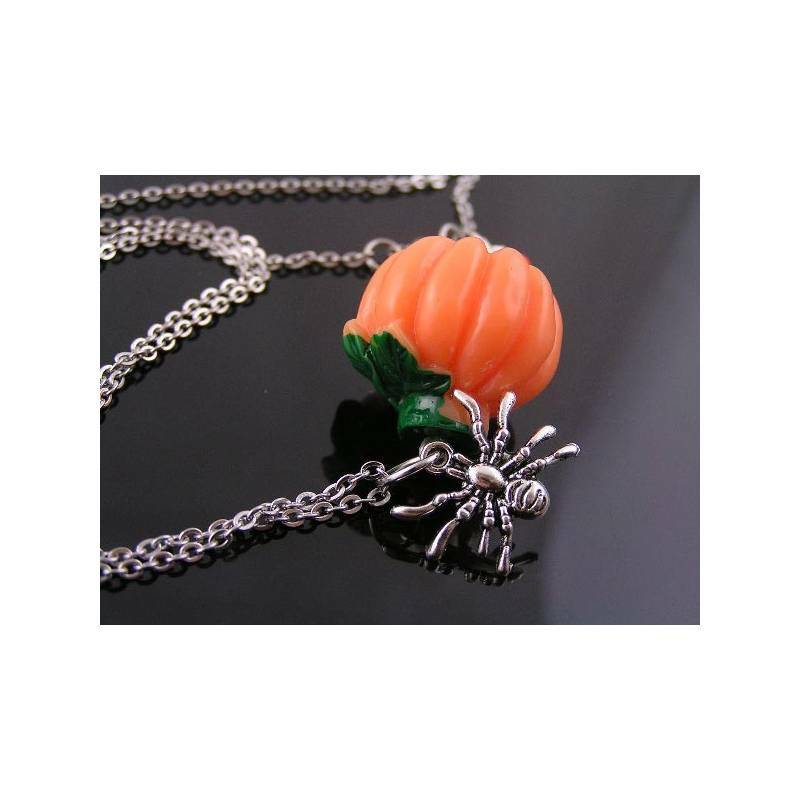 A fun charm necklace with a large pumpkin pendant and a little spider charm. 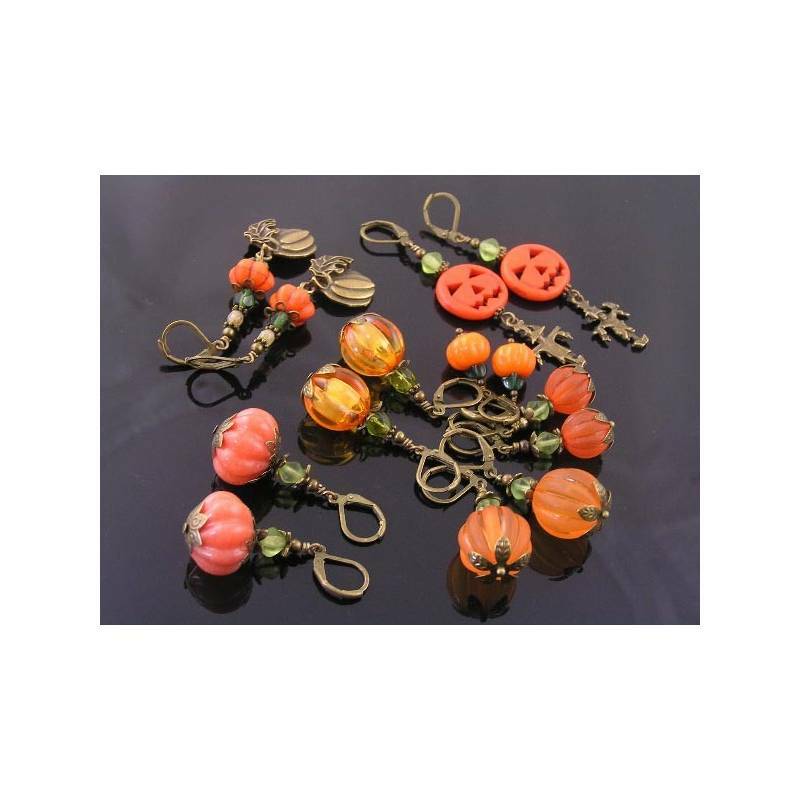 I managed to find a couple of delicious looking pumpkin pendants, complete with leaf and all to compliment any Halloween outfit. I have attached a little spider charm to the pumpkin and threaded the pendant onto a durable stainless steel trace chain. 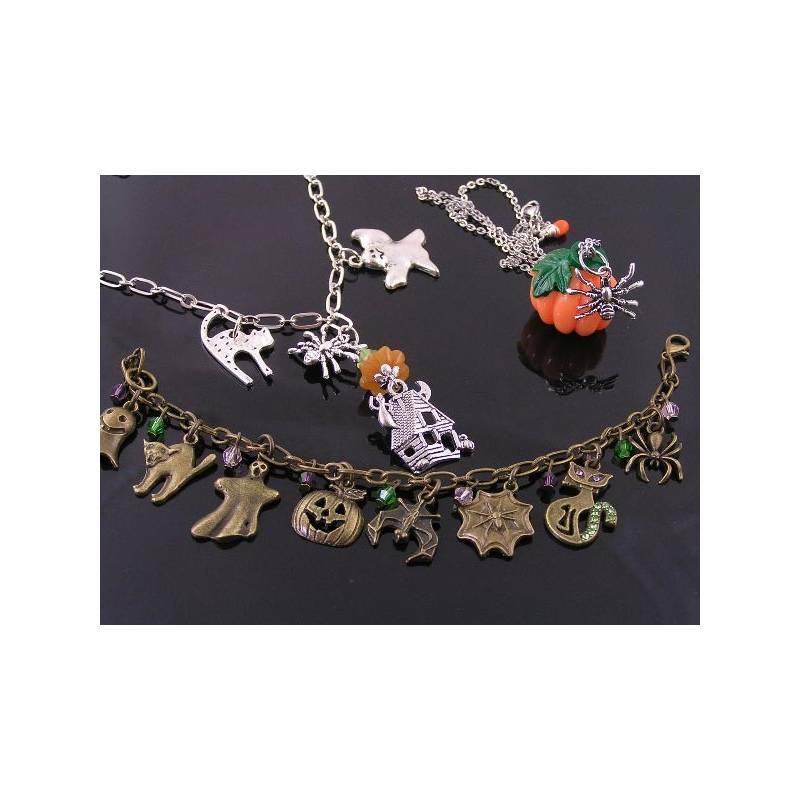 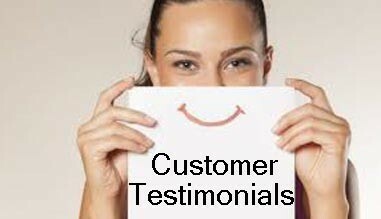 The chain measures 45cm in length and closes with a secure lobster claw clasp. 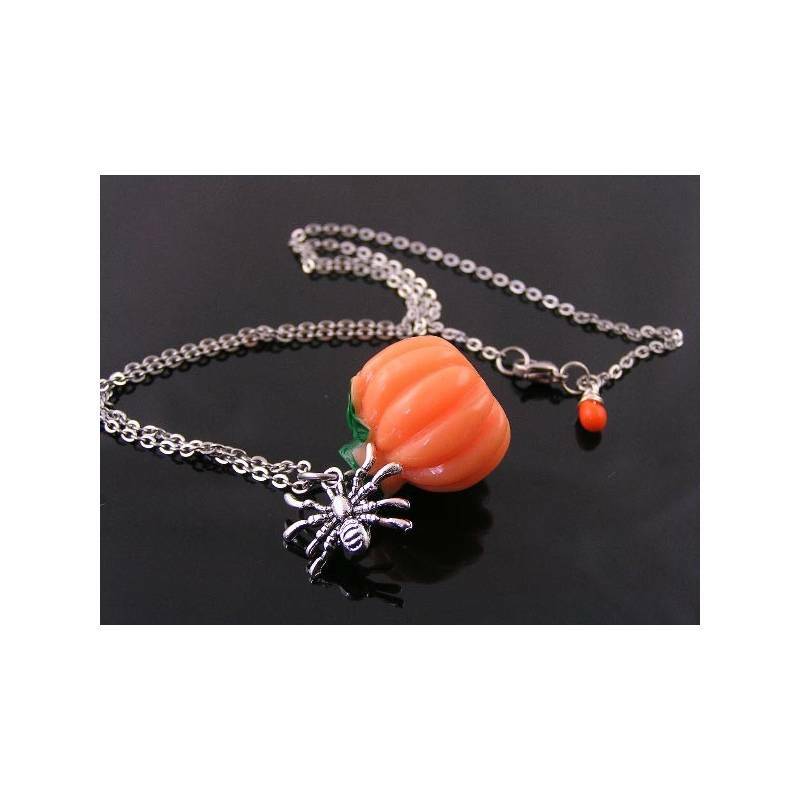 I added a tiny Czech glass drop in bright orange right next to the clasp. 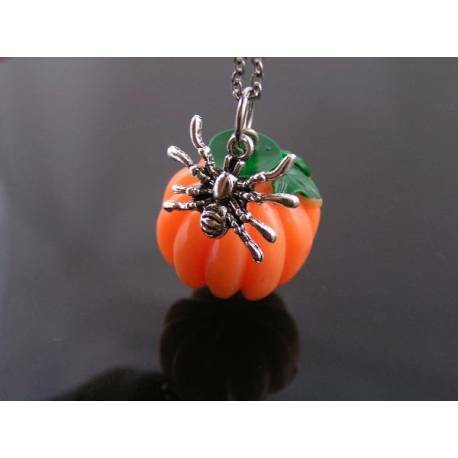 Total length of the pumpkin pendant is 3cm. 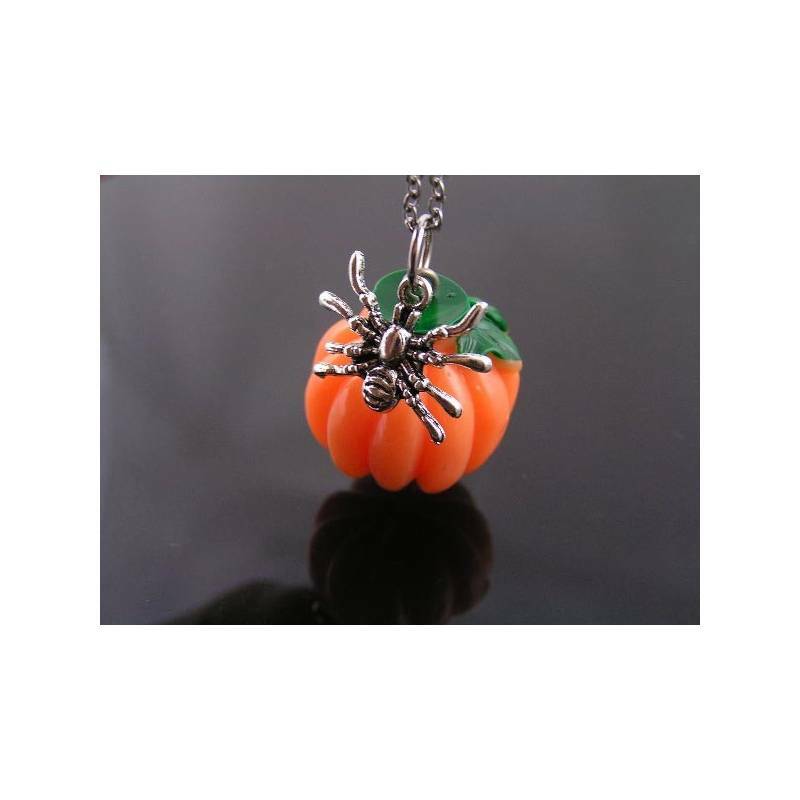 The pumpkin is fairly bulky so need to travel as parcel.